Get immersed in Arlington Heights' food scene. Experience dinner parties, food and drink events in our Downtown, outdoor dining in the warmer months and there is even more that invites you to partake and enjoy a night out with family and friends. Find out why Arlington Heights' food scene is something you must experience. 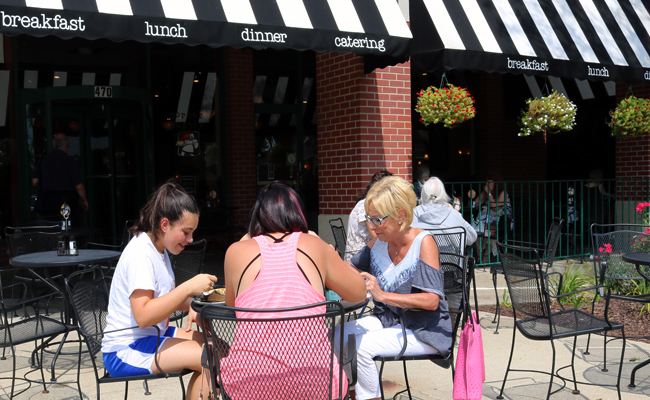 Arlington Heights is home to more than 200 restaurants. The heart of our Downtown includes nearly 30 restaurants and night spots ranging in cuisine that includes sushi, authentic Irish food, tapas, gourmet burgers, Thai food, thin crust pizza, Italian dishes, Mexican food - are you hungry yet? If you have great taste, you will want to experience all of what Arlington Heights' restaurants have to offer! You can find wonderful dining experiences in Downtown as well as any other location in our community! Find Places to Dine A delicious dish for every appetite! Restaurant Directory Map our your meals!